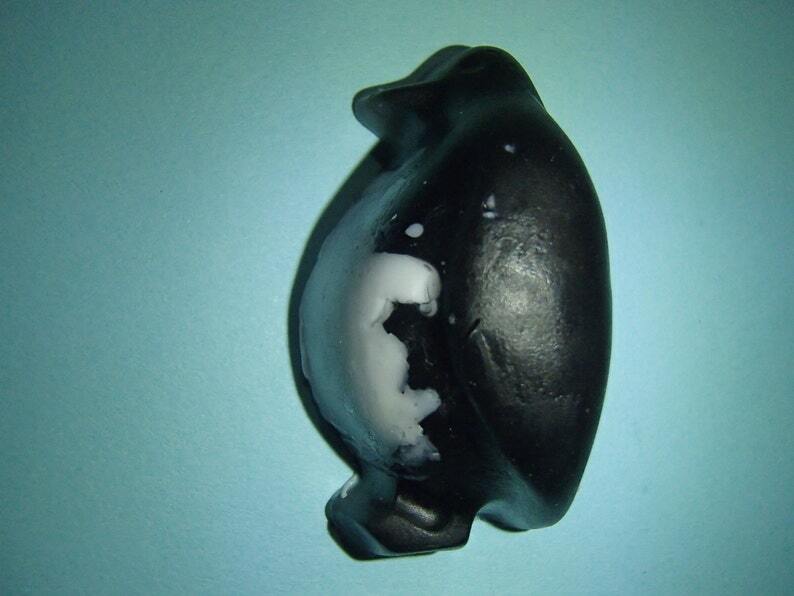 This is for one penguin shaped soap that looks somewhat realistic with its black and white coloring. It weighs ~0.5 ounces. It measures ~1.75 inches by 1 inch and is 0.75 inches thick. It is colored black with a white belly and scented Ocean. This penguin soap is great for penguin lovers. Also, good hand soap for getting kids to wash their hands. This also makes a great gift for friends and family, especially penguin lovers. This is also a fun soap for encouraging kids to wash their hands. It also makes a good party favor. Contact me if you would like to order more than 1, a different color/scent combination, or if you have any other questions. I can usually make and ship non-stock requests (i.e. more than the amount I have listed or special color/scent requests) within a few days. Please see my Etsy profile for list of scent options.